The pictures are perfect in every way… more than we ever could have hoped for! 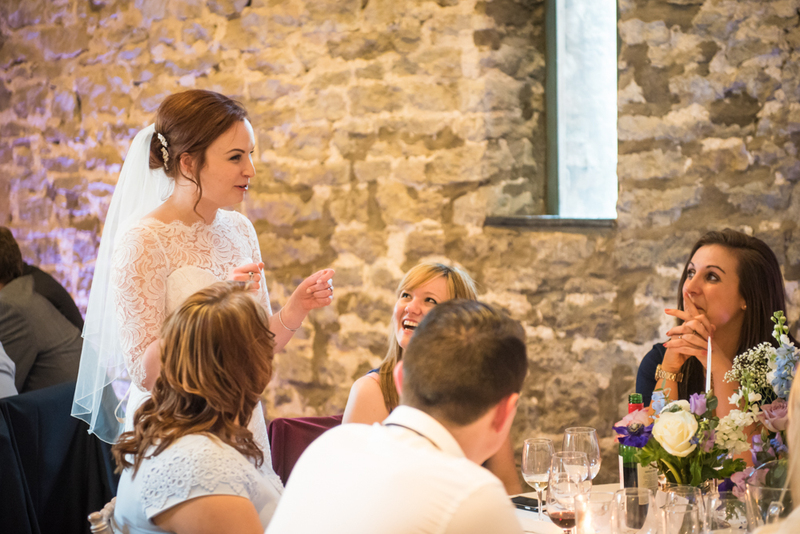 How to start writing about Kate and James’ spring wedding at Priston Mill? I have so many beautiful memories from that day. The most moving aspect was how Kate’s dad, who dad died many years ago, was such an important part of this wedding. He was remembered in so many ways and details, he would have been proud. Many tears were shed but many more laughters were laughed and life & love was celebrated to the maximum. I had met Kate and James a very long time before this wedding so when the day came and spring showed itself from its best side with beautiful sunshine and dramatic clouds, everyone couldn’t have been happier. The ceremony was a very happy, the speeches emotional but also very funny and the venue was just beautiful! I had fun with two little penguins (Kate’s favourite bird – did you know they mate for life?) and the wedding rings and we took some lovely portraits with the rolling hills in it. Now enjoy this rather large selection of photographs from beautiful Priston Mill. I hope you enjoyed this series of photographs from Kate and James’ wedding day. If you are getting married at Priston Mill or anywhere else in the South West and would like to find out more about me and what I have to offer then please send me an email to betty.bhandari@gmx.net or use my contact form.